When interviewing job candidates, have you ever wondered who’s really behind the face staring back at you? How do you know that the enthusiastic conversationalist you’re considering for sales at your company can truly break new ground and make revenues soar? Should you take on that polite, but unusually docile candidate who’s so qualified for the bookkeeping position? The truth is that interviews usually tell only a part of a much longer story. Jumping to conclusions, hiring -- or not hiring -- based on a “gut feeling” after an interview can be a regrettable -- and expensive -- mistake. A harsh reality is that the traits applicants exhibit during an interview can be misleading and may cause you to make bad hiring decisions -- ones that will lead to frequent (and extremely costly!) employee turnover. For example, very outgoing personalities enjoy being in the spotlight. Therefore, they know how to market themselves unabashedly and may leave you with a good impression after the interview. They often come across to strangers as commanding, competitive and driven -- seemingly well suited to sales positions. Sometimes, however, these individuals are all talk, no action. They have the social skills necessary to make contacts, incite interest, but are simply not enterprising or aggressive enough to take any sales ability they might have, to the next level. Known as “Networkers” or “Faux Sales Types”, these individuals say the right things, “talk the talk”, but they also back down easily and are afraid to take tough stands and close deals. They dislike conflicts, complex negotiations or even slightly heated controversies and are happiest when business situations run smoothly, without snags. These personalities are often erroneously hired for sales roles, and they then tend to simply tread water and do enough to scrape by. While there certainly are exceptions, these people do not usually become sales superstars…and may be legends only in their own minds! Learn to read between the lines and step back to look at the bigger picture when selecting any new employee for any position at your company. Remember that clerical, administrative, and non-sales roles often appeal to personalities that are staid, reserved -- the term “bookish” comes to mind. You might notice one-word answers to your questions during the interview or get a sense that your applicant is nervous, fumbling and uncomfortable talking about himself or herself. While people like this might not light up a room or spark lively conversations, they may be excellent when it comes to working diligently behind the scenes, staying focused on tasks and quietly minding their own business. A person who is not doing most of the talking could very well be doing most of the listening. Applicants appearing to interview poorly and to lack any real pizzazz can perform extremely well in jobs that are solitary and technical in nature. If they are qualified and you can verify good attention to detail as well as a helpful, accommodating attitude, you may have found the ideal analyst, bookkeeper or computer operator. Just keep these administrator-types away from people (they often cherish their privacy) and they should function well for you inside the office. Finding a new employee who will mesh with your own unique management style and click in your environment can be another major challenge. It often requires an in-depth assessment that extends way beyond one or two interviews. It’s import to learn all you can about your applicant; dig deeply, verify information on resumes, ask a lot of questions and speak to any available references and/or former employers you can find. However, keep in mind that glowing accolades from someone else do not ensure smooth sailing at your workplace! It might be nice to hear that your applicant got along well with his or her previous employer, but you need to be sure your new hire will connect equally well with you. Too many times an employee who seems perfect for the job cannot see eye to eye with the boss. Differences in communication style, work pace, and job expectations can be so dramatic that instead of balance and symmetry, there is tension and frustration at the dealership. It’s unsettling and certainly dispiriting when a worker’s morning commute is spent wondering how to survive yet another eight hours in a stress-filled environment. Learn all you can about your job candidate; explain your objectives, and discuss timetables before you make a commitment to hire! Avoid the expense and inconvenience of frequent employee turnover by helping to ensure that the person who is not only right for the job, is also right for your specific workplace! Something else to consider is how well your new hire might blend with his or her teammates. Make sure you’re already familiar with the personalities of your existing employees and have good information regarding the likes and dislikes of your applicant to better judge overall compatibility. Keep in mind that outgoing types usually find reserved individuals too serious, while introspective people can be uncomfortable with and annoyed by loud, gregarious extroverts. Your job is to try to build a team comprised of both sales- and service-oriented individuals that is productive, efficient and cohesive – a tall task, especially if you have only a name and a face to go by! Statistics show that when your subordinate leaves a job within 3 months of hire, you and your company will end up paying about what you would have paid that person in one year! Remaining employees must pick up the slack and often become disgruntled. Non-salaried workers usually need to be compensated for working overtime when you are short-staffed. Time taken to sort through stacks of resumes and applications could be better spent planning strategies and attending to other everyday business matters. Morale deteriorates and, sometimes, longstanding employees decide to start making new demands. To avoid such expense and aggravation, take the time to know exactly which traits you are looking for in applicants before you hire them. Speak to references and/or former employers to substantiate a candidate’s claims and consider using a behavior-based assessment that is customized for the positions and or industry. 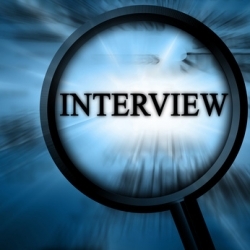 Do everything you can to know who is really staring back at you during the interview! Interested in checking out the Omnia Profile? Take a FREE PROFILE NOW!